This week's show discussed the topic of conflict and stress for expecting and new mothers from the condition called perinatal mood disorder, and how that affects the entire family. Guest co-host Jill Thomas of Heartland Christian Counseling joined Maxx on the show. 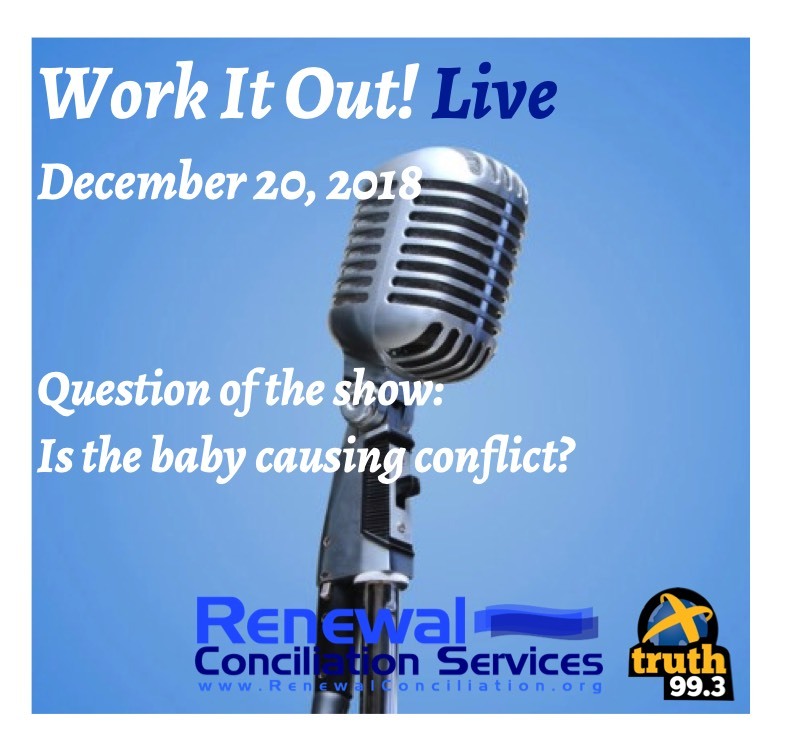 The call-in Question of the Week was: “Is the baby causing conflict?” Check out the audio and video below to learn more about this very important topic. The show was sponsored by Heartland Christian Counseling of Urbandale, Country Club Dental of West Des Moines, The Edge Pro of Ankeny, and Camp Appanoose of Plano.